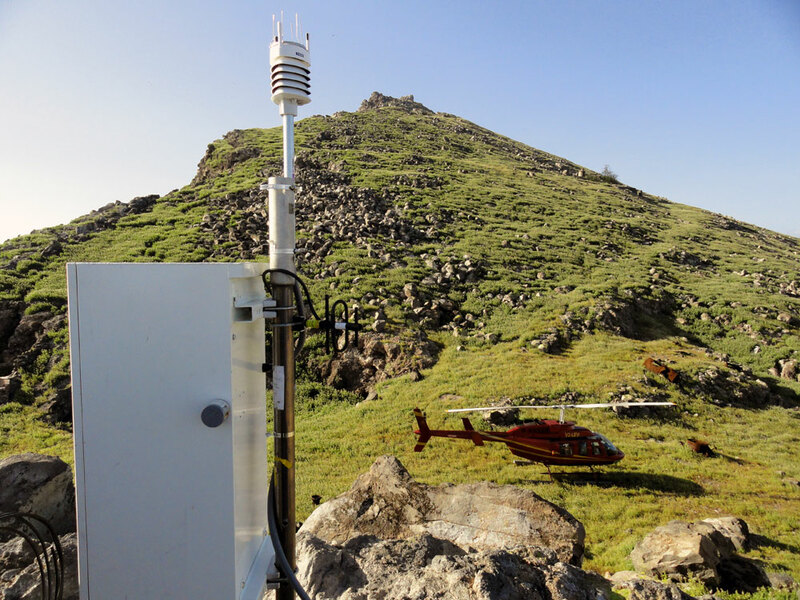 As part of the ongoing COCONet installation phase, one continuously operating GPS site was installed on Redonda Island in the West Indies of the Caribbean ocean. The island belongs to the nation of Antigua but its nearest neighbor is Montserrat, located 12 miles due southeast. Redonda is an uninhabited volcanic remnant characterized by very steep slopes that make landing a boat on its shores extremely challenging. The island is most frequently visited via helicopter by personnel from the Montserrat Volcano Observatory (MVO), who have been maintaining a semi-permanent GPS station there for the past several years. MVO collaborated with UNAVCO for the construction of the new cGPS station and provided the GPS antenna and receiver for the site, as well as all helicopter access to the island. Data from the GPS station is telemetered back to the MVO offices on Montserrat and is regularly uploaded to UNAVCO. Figure 1. 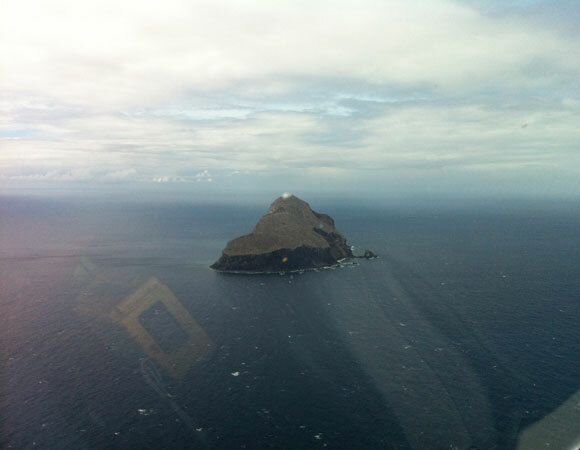 Redonda Island as viewed from the helicopter approach. The trip from the Montserrat Volcano Observatory takes approximately 15 minutes. Photo by Sarah Doelger. Figure 2. The GPS enclosure and meteorological device. The hill in the background is the highest point on Redonda and measures 143 meters above sea level. Photo by Sarah Doelger. Figure 3. 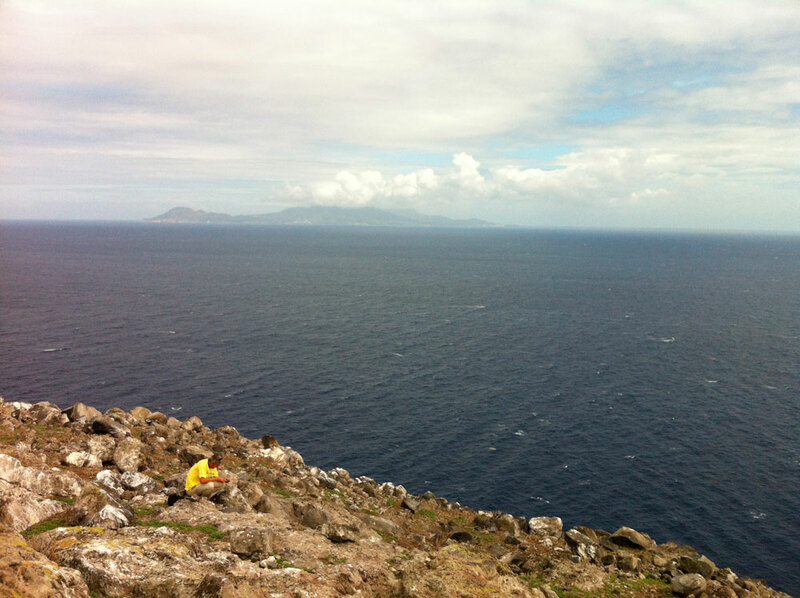 Paul Cole of the MVO visited Redonda as part of the pre-install permitting mission. Montserrat and the Soufriere Hills volcano are visible in the background. Redonda’s proximity to the eastern boundary of the Caribbean Plate will provide a good location for monitoring the crustal movements associated with the subduction of the South American Plate. 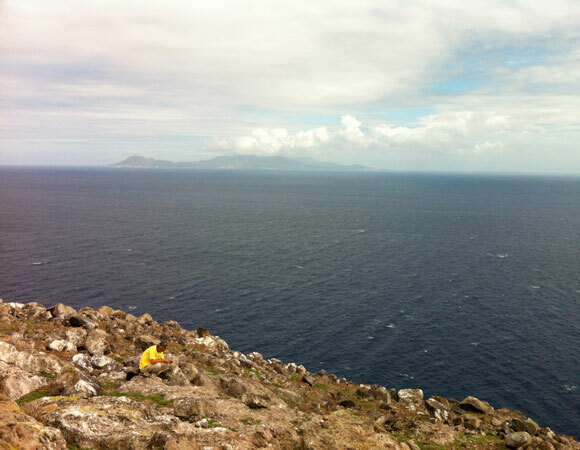 Redonda is part of the Lesser Antilles Island Arc, which contains 17 active volcanoes. The most notable of these is the Soufriere Hills volcano on Montserrat which erupted catastrophically in 1995, destroying settlements (including the capital city) on the southern half of the island. GPS data from the site will provide relevant information about plate movement in the Eastern Caribbean subduction zone. This region is populated with over 34 million people who are exposed to the associated volcanic and earthquake hazards. 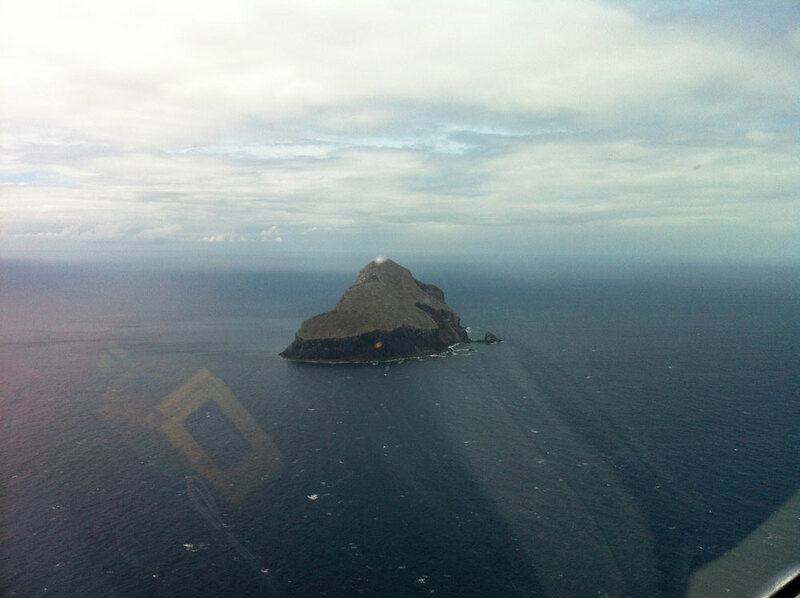 Although easy to access via air, the only viable place to land a helicopter on the island is situated at the base of a rocky outcrop, 15 meters below the GPS station. As such, it was necessary to haul all necessary tooling and equipment up the rock face to the site.